Happy Friday friends! Today I'm sharing with you a card I made using the Perfectly You stamp set from the Holiday catalog...and guess what?...it's not a holiday card! I told you I would add something different to my post. I hope I don't disappoint. Today I did some heat embossing! This really adds a wow effect to your project! I also embossed directly on top of some DSP! I used the Modern Medley DSP which is Basic Black and Very Vanilla. 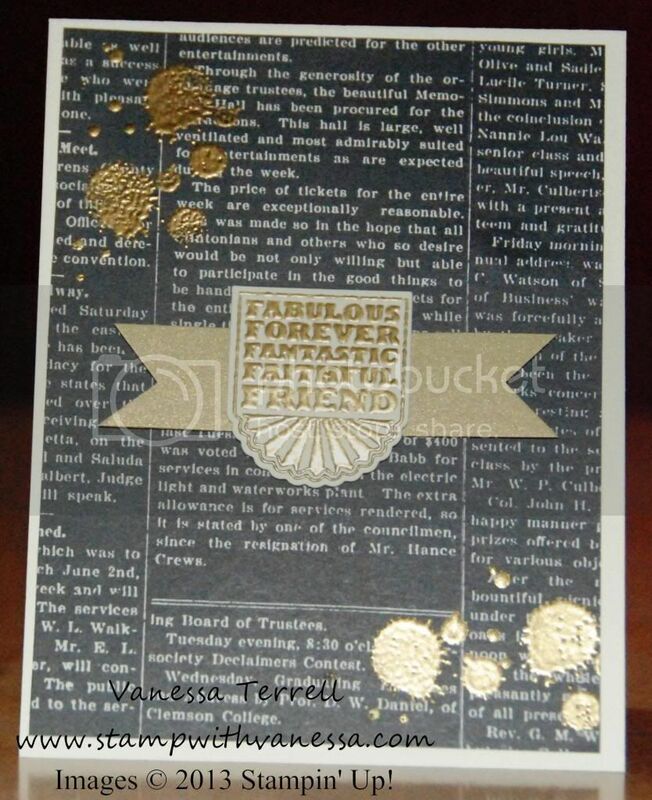 I embossed in Gold...how fun! 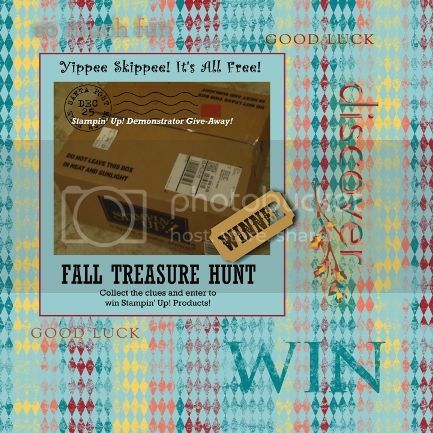 Labels: Friends, Heat Embossing, Late Night Stampers 2013 Fall Treasure Hunt, Stampin' Up!